This stained glass window has a great story behind it! While growing up, I was blessed to be able to spend my summers at Camp Northway Lodge in Algonquin Park, Canada. Northway is not your average summer camp. The description I quote is it’s “a pioneer canoe tripping camp for girls.” To this day, there is no electricity, no running water, the girls sleep in platform tents, and the emphasis is on canoe tripping and the experience of the out-of-doors life. Interestingly, when the camp was founded in 1906, the women and girls who attended the camp took part in the actual labor of constructing the buildings that still stand today. I was a counselor at Northway the year we celebrated our 75th anniversary. 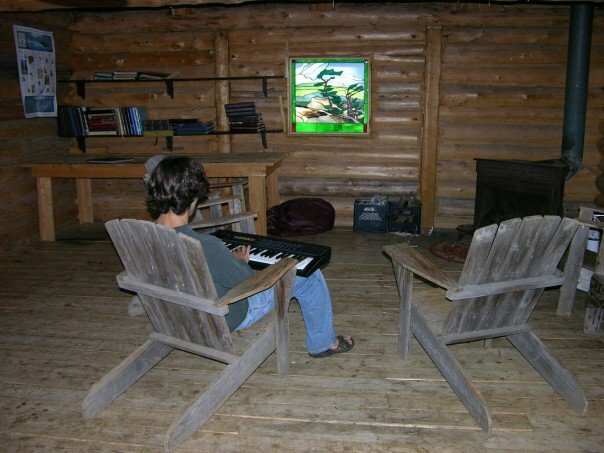 In commemoration, we had a former canoe-tripping guide, who was trained in cabin building, come back and oversee the construction of a new log cabin. Everyone at camp took part in this amazing experience. When Northway celebrated it’s 100th anniversary, I made this window for that cabin as my gift to the camp. To this day, it is one of my favorite creations. 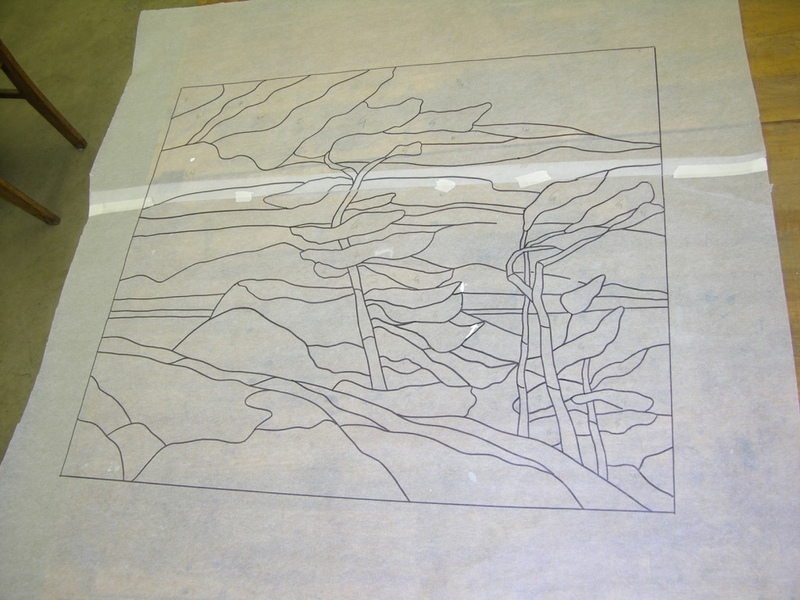 The inspiration for the design of this window came from a painting called “White Pine” by A.J. Casson. Casson was a member of The Group of Seven, which was a collection of Canadian landscape painters, many of whom many painted on location in Algonquin Park in the early 1900s. Casson’s White Pine is an iconic example of this particular art movement in Canada. A very fitting subject for the space it now occupies. When I decided to take on this project, I signed up for a stained glass class at Arrowmont School of Arts and Crafts and basically worked on this piece for an entire week straight and about 12 hours a day. 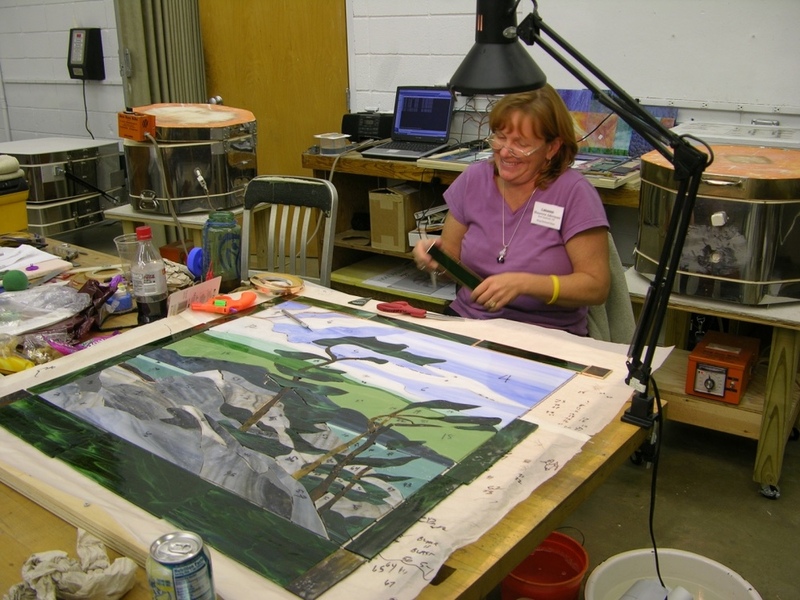 The studio space was a necessity for such a large undertaking, as the window is approximately 45”x45.” Plus, I had the support and guidance of an incredible instructor! My good friend, Ryan, owns a house in Buffalo that dates back to the early 1900s. The house was built in the classic “Mission” style of that era. In the front hall of the home is a tall door with an empty transom space above it. 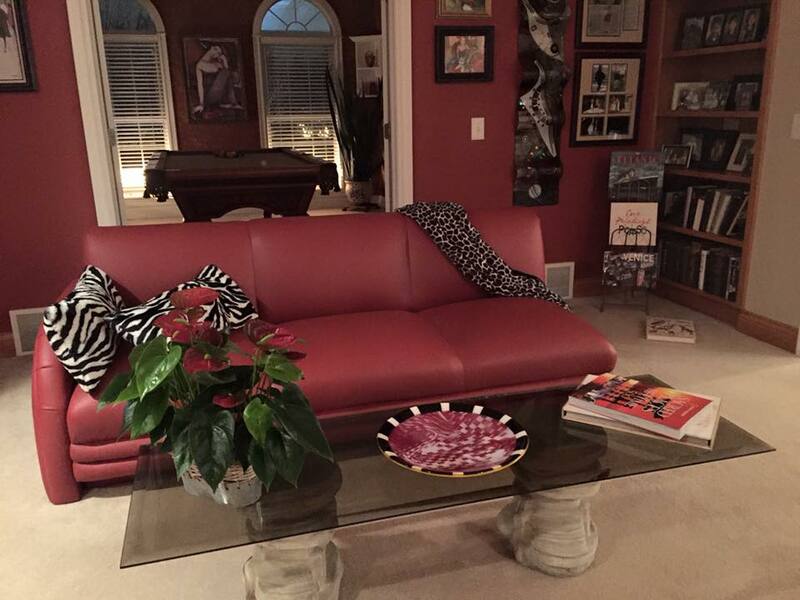 He commissioned me to make this glass window for that space. 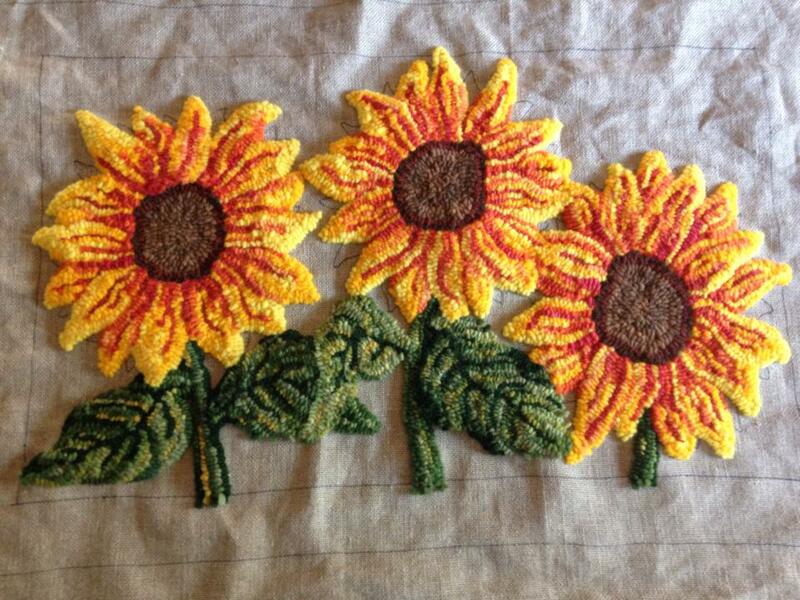 Ryan had admired one of my hooked rugs he had seen on my Facebook page and he suggested that perhaps the three Sunflowers would make a nice window design. I then began the drawings and we communicated throughout the construction, making sure he approved. 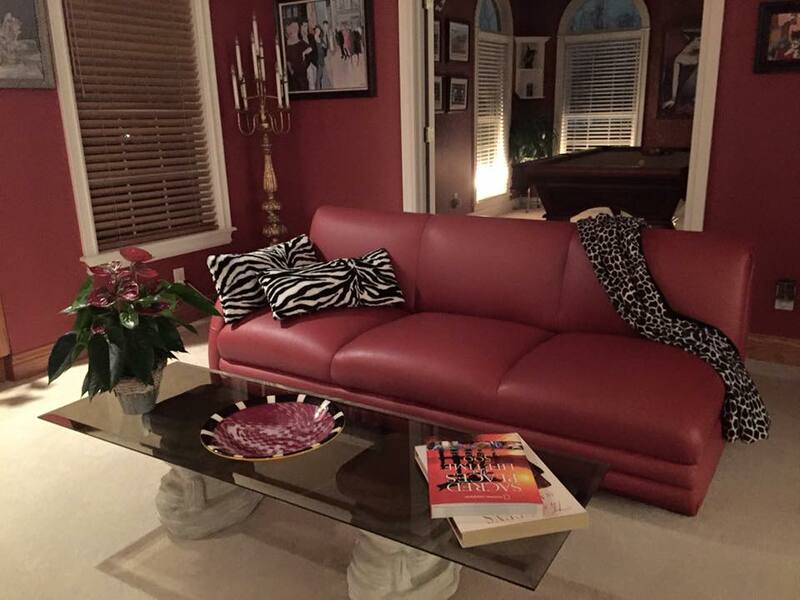 The style fits perfectly in his home and it looks beautiful lit from behind. Karen is a local woman who happens to love glass. She’s also a big supporter of the arts. Karen has commissioned me to make several bowls. She likes to give them as gifts and will often send me pictures of where they are going and we work together to choose matching colors. For me, I love that this process takes me out of my creative “comfort zone” and forces me to think outside my own box. I’ve made pieces for her that I never would have thought to make on my own! Kathy found me on Facebook. She and I grew up together on the same street way too many years ago, but reconnected through social media. Kathy saw pictures of the bowls I was creating and thought it would be fun to have one made for her sister and surprise her for her birthday. She sent me a picture of her sister’s new kitchen that was in the process of being painted. Together, we came up with the design and color scheme for this perfectly matching bowl. This is yet another example of something I never would have thought of without the inspiration of my client! PMC stands for Precious Metal Clay. It is one of the coolest materials I use. The clay is made up of microscopic particles of fine silver mixed with an organic binder. You can form, sculpt, or mold it into any shape you want. Once the clay has air-dried, it goes into a kiln and is fired to 1,500 degrees. The heat of the kiln actually burns out the organic binder and you are left with a piece of fine silver. 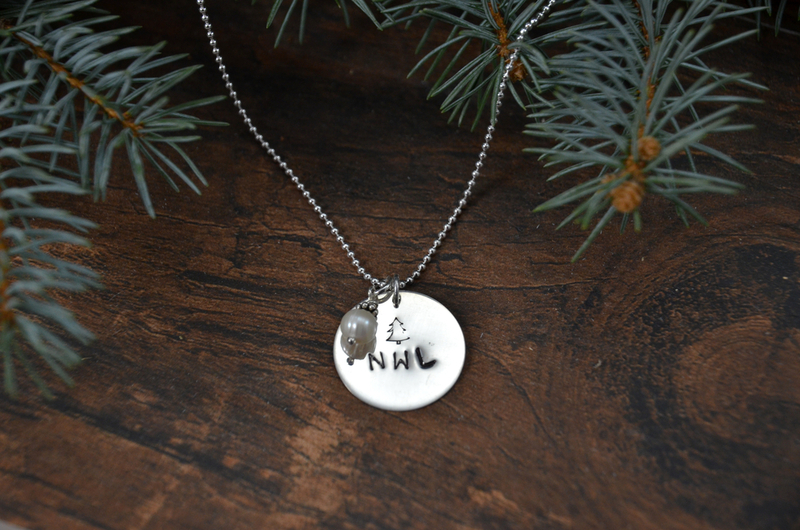 These necklaces are the logo of Camp Northway Lodge in Algonquin Park, Canada. The process I used to make these is by pressing the PMC clay into a preformed mold. I first carved a model out of wax and then using dentistry impression material, I made the mold. Creative problem solving at its finest! Believe it or not, this project was a commission from my dentist, Dr. Rice! His office does an annual fundraising event where they offer teeth whitening services to patients and the proceeds go to a charity of their choice. In recent years, they have chosen to donate to our local chapter of Camp Good Days and Special Times, which serves pediatric cancer patients and their families. This happens to be a cause that is near and dear to my family. Dr. Rice had me make these necklaces for all of his staff members who give their time freely to raise these needed funds. I’m proud to be a part of such a wonderful campaign. 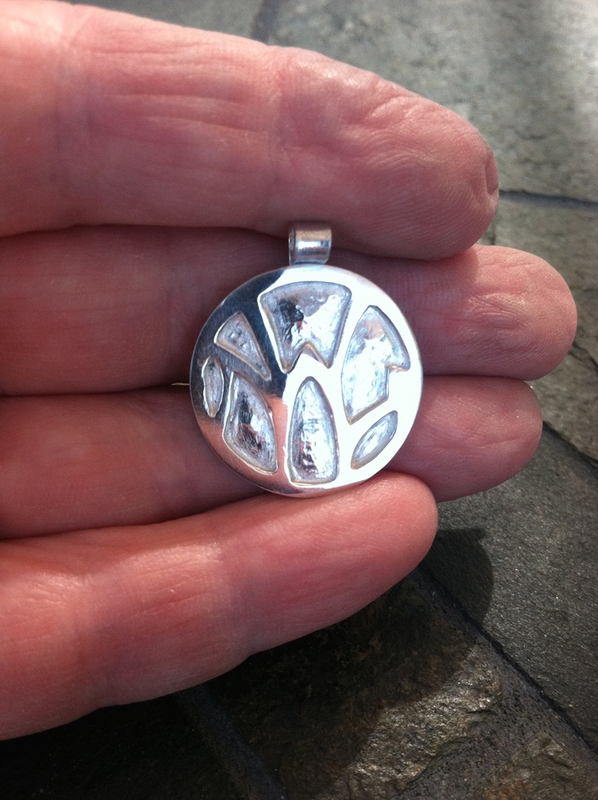 These pendants are a unique way of wearing an inspirational word or your own initials. They make a very nice one-of-a-kind gift as well. The accompanying pearl can be removed or addition charms can be added, perhaps a Swarovski crystal to represent a birthstone, or any kind of a favorite stone such as turquoise, coral, jasper, etc. If you’re interested in one of these, simply go to the custom process page to get an idea of how our process works or if you're ready to get started, contact me and I will make your idea come true! 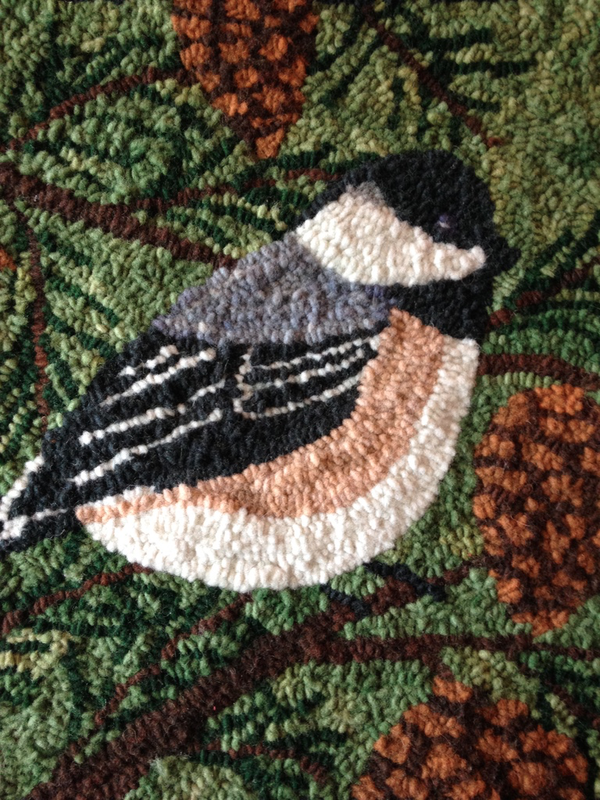 Rug hooking is a fairly new medium to me, and I love the entire process, but it is actually a very old art form. In the olden days, folks used to save all their scraps of used clothing and such, then would re-purpose them into hooked rugs. I start with natural wool felt and dye individual pieces, each approximately 20”x45.” The dyeing process involves boiling water and mixing wool-specific dyes to create each unique color. 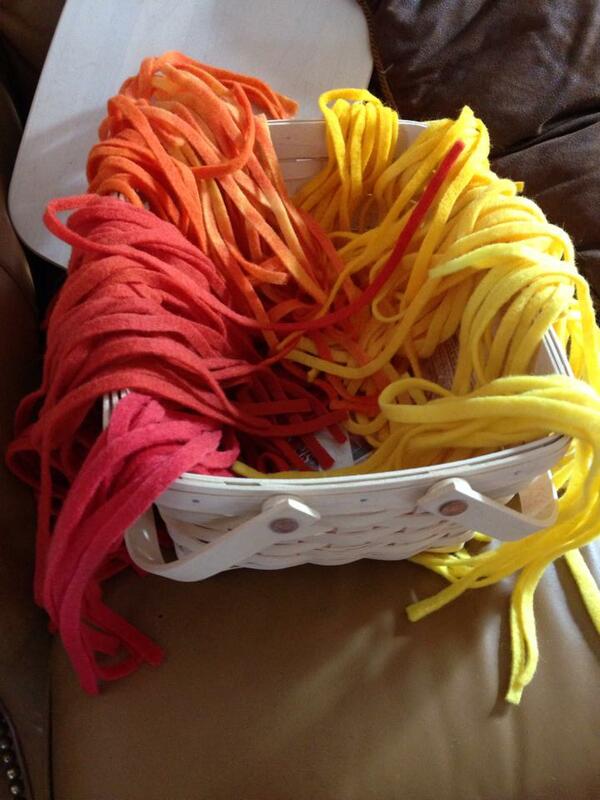 After the wool is dyed and left out to dry, it has to be cut into ¼” strips. I create each design myself and then transfer the image onto a linen canvas. Using a specific frame (made by my very talented, woodworking brother!) the canvas is stretched and ready to hook. The actual hook itself is very similar to a crochet hook. It is punched threw the canvas and used to draw up a loop of those ¼” strips of wool. As you can imagine, this is a very labor-intensive process, but it’s ever so rewarding! It’s like painting – one loop at a time! Some projects I do for clients are just plain fun! I have the ability to transfer a black and white graphic into a stencil and then sandblast anything that is glass. These pint glasses were made for Camp Pathfinder in Algonquin Park, Canada. They were celebrating their 100th anniversary and asked me to do these for the guests that were attending their party. This kind of work is a little out of my ordinary, but I’m always available to take on a fun project!